All surgeries have potential risks and complications, LASIK being no different. However, technological advancements have made the incidence of significant LASIK complications uncommon. 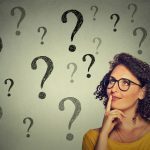 There is no national clearinghouse for statistics on LASIK, and as a result it is hard to determine the odds of a patient experiencing complications from the procedure. However, results of many studies have placed the incidence of major complications at less than 1 percent. Thin corneas, chronic dry eyes and large pupils are among the conditions that increase a patient’s chances of experiencing LASIK complications. Check out an overview video describing the risks of LASIK, or continue reading below for details on specific risks, such as undercorrection/overcorrection, flap complications, dry eye and more. 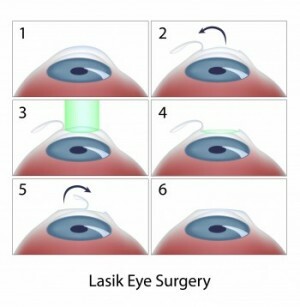 The most common LASIK complications are detailed below. Though relatively rare, undercorrection or overcorrection are both possible complications of LASIK surgery. 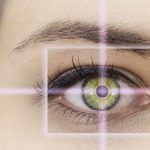 The need for LASIK enhancement was more common in the past; technological advancements such as wavefront technology have reduced the need for re-treatment. Those with severe myopia (nearsightedness), hyperopia (farsightedness) and astigmatism are at increased risk for undercorrection or overcorrection. The risk of flap complications is reduced if a laser is used to create the flap. Damage to nerves sustained during the LASIK procedure can lead to dry eye. Symptoms include discomfort, blurred vision and sensitivity to light; some patients also feel like they have something in their eye. If you already have dry eye, you will not be a good candidate for LASIK until you undergo treatment for it, as LASIK may exacerbate your condition. Inflammation is a normal response to injury, including the cell damage caused by LASIK. If not controlled, or if caused by wound contamination, inflammation may slow the healing process, leading to corneal haze or even permanent loss of vision. Symptoms of inflammation include pain, a burning sensation and/or redness. The type of inflammation most commonly associated with LASIK is called diffuse lamellar keratitis, or DLK. Inflammation can normally be addressed, with minor or no loss of visual acuity, so long as the patient is treated promptly. Studies have repeatedly demonstrated that LASIK outcomes are stable in most patients. Nonetheless, a small percentage of patients will see their vision slip over time. This is called regression. Our eyes change over time regardless of whether we have undergone refractive surgery. All of us experience age-related loss of near vision (presbyopia) sometime after the age of 40; you will likely need reading glasses or bifocals unless you had a procedure called monovision LASIK. Cataracts are another condition that many patients face as they grow older. Epithelial ingrowth occurs when cells in the epithelium (the outer layer of the cornea) move under the flap and begin to grow following surgery. Although epithelial ingrowth may not cause any problems, it can lead to blurriness, discomfort and other symptoms. 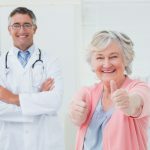 Older patients are more likely to experience epithelial ingrowth. Infection stemming from LASIK surgery is rare. You are unlikely to get an infection if you follow your surgeon’s instructions. Corneal ectasia is characterized by bulging or thinning of the cornea. It is a rare complication of LASIK. Though the cause is unclear, ablating too much corneal tissue during LASIK is considered to be a risk factor. The most common symptom, the onset of which can occur as much as five years after LASIK surgery was performed, is blurry or distorted vision that cannot be addressed with glasses. 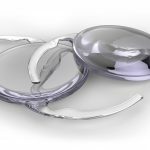 Many surgeons believe that people with unusual corneal shape or a family history of an eye condition called keratoconus should not undergo LASIK. Ask your surgeon for more information on LASIK risks and complications. Corneal abrasions are typically caused by the microkeratome (surgical blade) used to create the corneal flap during LASIK surgery. In some cases they heal on their own. Until cells grow over the injured area, abrasions may interfere with healing and put the patient at increased risk of inflammation or infection. The risk of corneal abrasion is reduced if a laser is used to create the flap. Dry eye has typically been a condition that inhibits LASIK and PRK candidacy. Dry-eye pretreatment could be a game changer. Post-LASIK Refraction and Pregnancy – Much Ado About Nothing? Congenital Cataracts - Can You Have Cataracts Early in Life?